Find a swanky spot in your home for your new machine to live, preferably where the morning sun shine down on your new, personal barista. Get the power cord and the accessories out of the box. Plug the machine directly into an outlet. Don't plug it into surge protectors, extension cords, or timers. 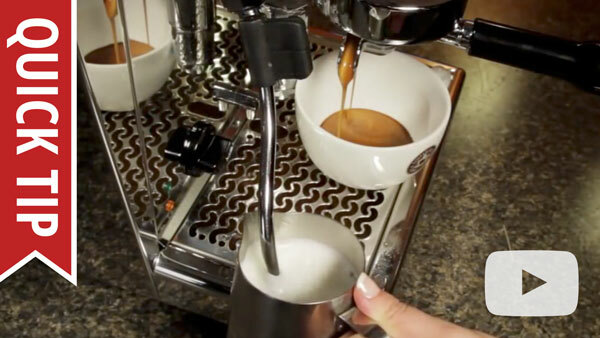 There are a few things you should know before heating up your super-auto for the first time to keep the the espresso flowing and the milk frothing. 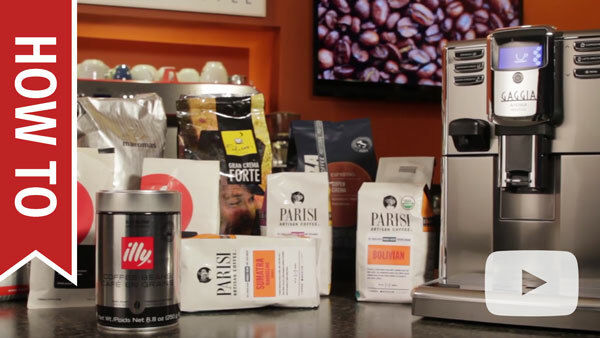 In the video on the right, you'll learn all about recommended roasts, water hardness, grind settings, milk frothing and the brew group—or, as we like to think of it, your super-auto's inner barista. Coffee is all about the caffeine (er... flavor), and super-autos don't disappoint, though, they are a teensy bit picky when it comes to certain roasts. In particular, super-autos are oily-bean-averse, meaning they don't like extra dark or flavored beans, as they tend to gunk up the grinder. 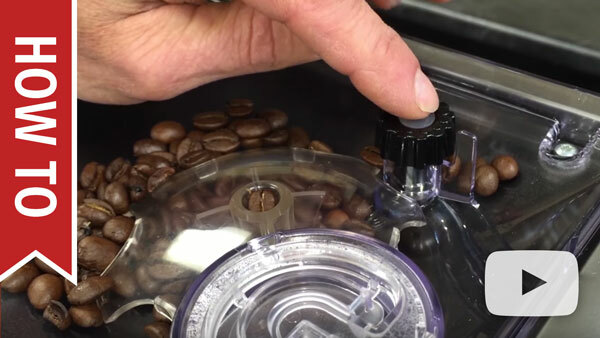 Watch the video on the right to learn how to choose the beans of your dreams and keep your grinder clean. Consistency is key when it comes to grind size. 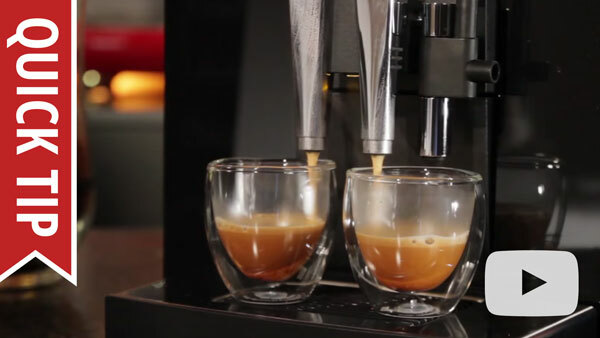 With super-autos, you can just set it and forget it, but it's good to know how to fine tune for your favorite roasts. A good rule of thumb to keep in mind: light roasts and small volumes such as in espresso need a finer grind, while dark roasts and long coffees favor a coarser grind. Watch the video on the right to learn more. If you like cappuccinos, lattes, Flat Whites, and other milk drinks, you're gonna need to know how to froth. For a few quick tips to improve your frothing technique, check out the video on the right. You'll learn a few tricks to make your drinks even better. Frothing can be a delicate process. There's a number of mistakes you can make that really bring down the quality of your drinks. Check out the video on the right to learn some easy things you can avoid going forward. 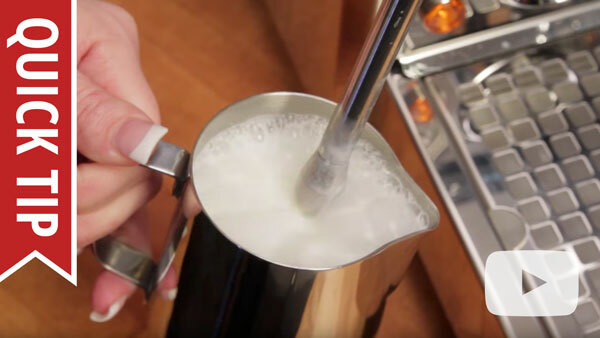 The literal sweet spot for steaming milk falls between 140°F and 155°F, with smaller drinks on the lower end and larger drinks on the higher end. A quick rule-of-thumb we follow is to steam just until the frothing pitcher becomes a little too hot to hold comfortably. 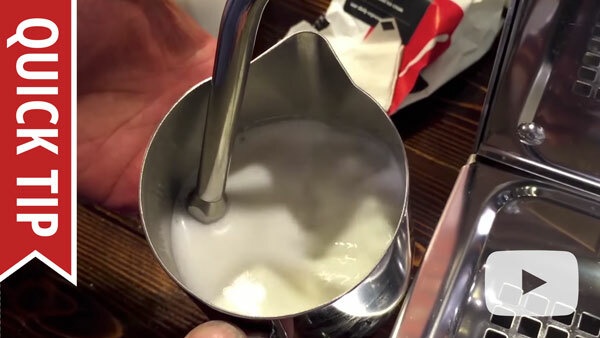 What is the Best Temperature for Latte Milk? 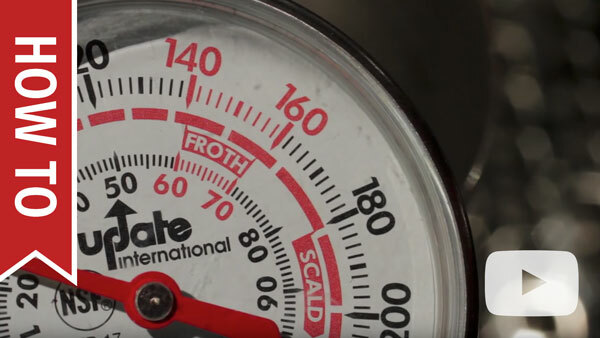 If you're using a thermometer, you'll want to learn about lag time and how to read a frothing thermometer to correctly gauge the steaming process. This page was last modified on 22 February 2019, at 13:56.